I know I say it a lot, but this might be my favorite outfit shoot of all time. 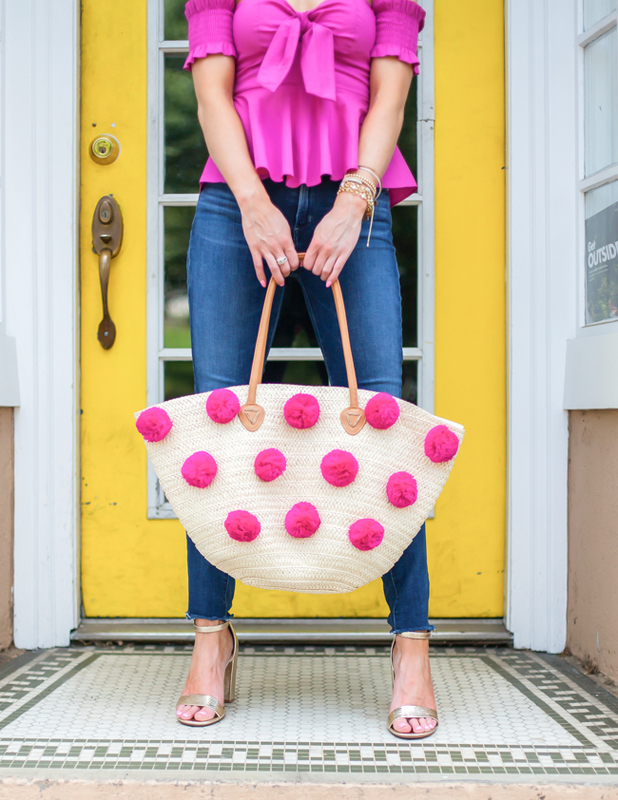 This pink off the shoulder top & pompom straw bag combo makes me smile and both are incredibly affordable at $45 and $35 (amazing right?!). The perfect combo for a casual Spring or Summer occasion! I love the feminine detailing... the bow tie front, the smocked off the shoulder sleeves, the peplum detailing, and the sweetheart neckline. Oh, so good! 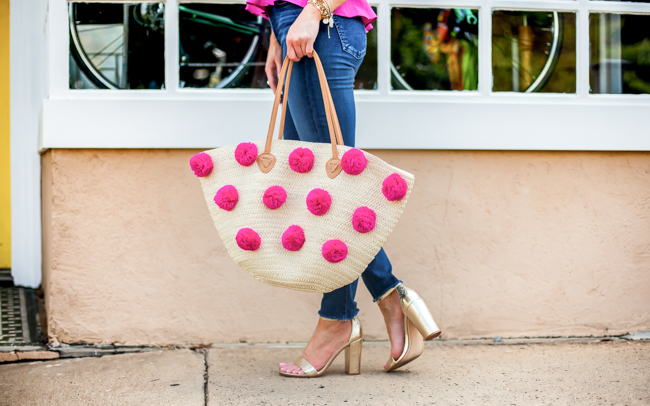 And this pompom tote seriously cannot be beaten, especially for the price. It's great quality and a fabulous size for using as a carry-all or taking as a pool or beach tote. When my photographer and I were scouting a location for this outfit we saw the yellow door of this bike shop and I was like, "Yes!" I love the contrast of the color with the off the shoulder top and straw bag. How cute would a yellow earring or shoe be?! Especially since it's such a popular color this season and easy to find. I decided to add a monochromatic statement earring with pink agate and fun detailing. The gold accents go perfectly with a similarly colored ankle strap sandal... mine are only $29.99 and probably the most comfortable sandals I own! And the color goes with just about everything, casual or dressy. They are a great choice for vacations or trips as they pair with so much. My skinny jeans are now my FAVORITE jeans of all time. I tried out this brand during a sale several weeks ago and ended up with three skinny jeans of the same style in different colors and two pairs of shorts. They fit well, have stretch, wash well, and don't feel or look baggy after a day's worth of wear. AND at 5'2" I didn't have to hem them... and that's a rare occasion! They are incredibly versatile and after only a little over a month, I've gotten my money's worth. I highly recommend! Oh, btw I found an amazing dupe for my sunglasses less than $10! 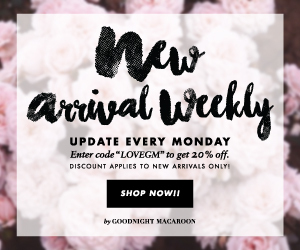 Below you'll find some FABULOUS Memorial Day Sales to shop over the long holiday weekend. And check back this weekend and Monday as I'll be adding to and editing the list!